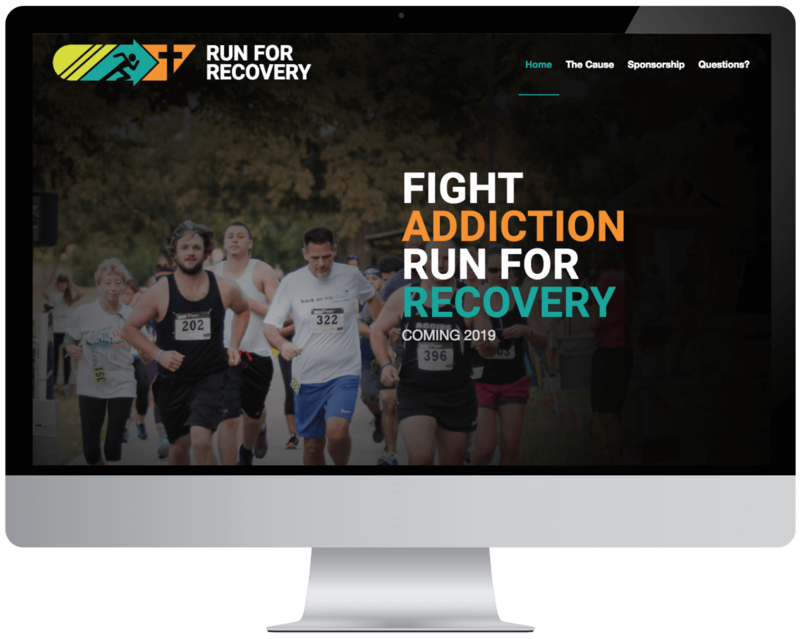 Run for Recovery is near and dear to the hearts of the leaders at 2nd Chance Baptist Church, one of our web design clients. The challenge was to improve upon the work we did in 2017 by integrating a modern, exciting approach to this year’s event and increase sponsorships and runners digitally. The existing logo had a great arrangement of colors, but it could use more motion to convey the excitement of running a race. The 2018 overhaul did exactly that while integrating the previous artist’s intentions. But, it was a bold statement that really sealed the deal on the new branding, matching the impact the event has on people’s lives.